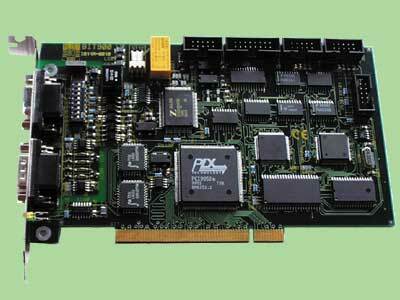 PC-188 is an expansion card for ISA or PC104 buses which let your PC to be interfaced with a Bitbus network. It´s compatible with older PC-44 card (which is 100% clone of original Intel iPCX344A), outperforming it with its high-end HDLC controller and its capability of exchanging 255 byte long messages. Free BAPI libraries for DOS, DOS/4GW, Win16, Win9x, WinNT and OS/2. 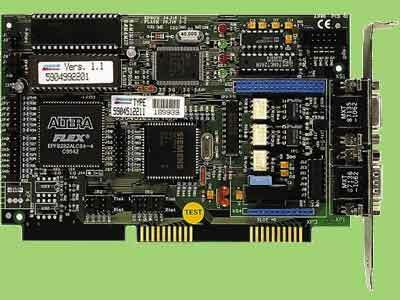 PC-44 is an expansion card for ISA bus which let your PC to be interfaced with a Bitbus network..
It’s 100% clone of original Intel iPCX344A, being based upon the same 8044 Bitbus microcontroller. Bitbus interface fully supports both synchronous mode (0.5 to 2.4 Mbps) and self-clocked mode (375 and 62.5 Kbps, 500VDC opto-isolated from internal logic). Free BAPI libraries for DOS, DOS/4GW, WIN16, WIN-9x, WIN-NT and OS/2. A modern WDM driver is available for Windows98 and Windows2000, with a BEUG recommended API (BAPI) for easy access by all programs that can interact with a DLL.